Special Cakes for Special Occasions!! Please visit our Bakery or contact us to order your Specialty Cake for your Celebration Day. Our cakes are made with only the freshest ingredients, then baked, iced and decorated everyday. View our pictures in our cake gallery for some great ideas. 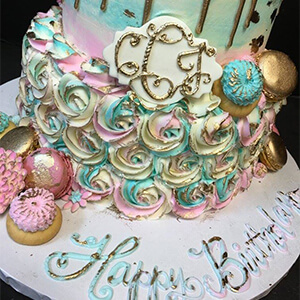 Click here to view pictures of our beautiful specialty cakes!